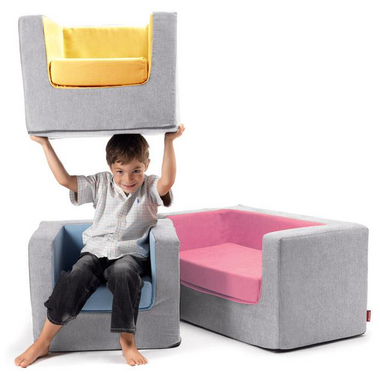 The Cubino -- a kid's chair you won't need to hide when guests arrive! Monte's chair is made of thick durable foam covered with a soft durable micro suede. 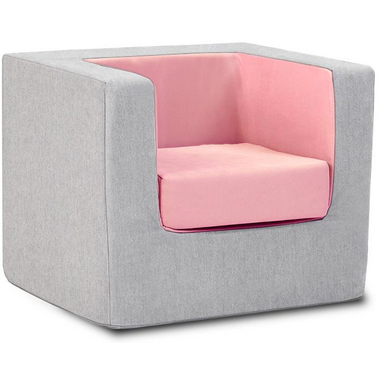 Whether lounging during a cartoon or reading books on their own, kids will love this cool chair. Removable seat cushion. Completely removable and machine washable covers. Modern two-tone colour options. Please note: Monte Design products are made to order. Please allow 2-4 weeks for delivery from the manufacturer. A $19 delivery surcharge is applicable on all Opie & Cubino Chairs, and is reflected in the final pricing, as listed, above.